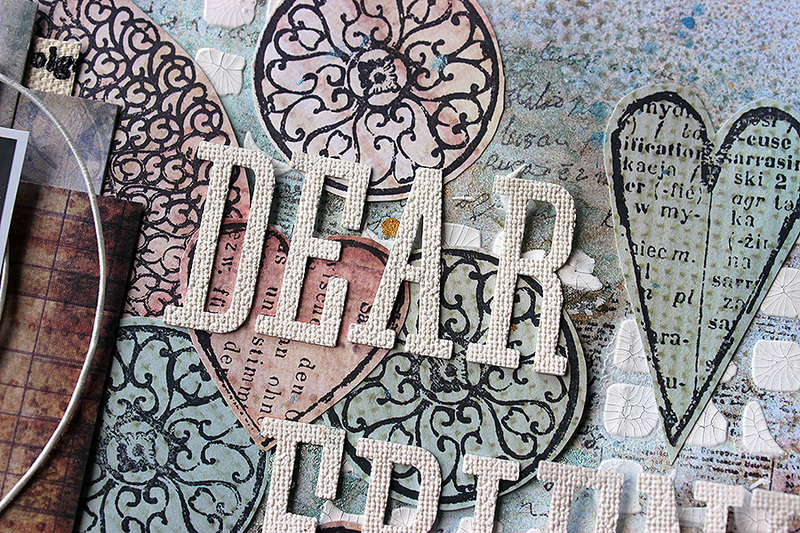 Todays project is close to my heart, it speaks about dear friend. How important is friendship in your life? 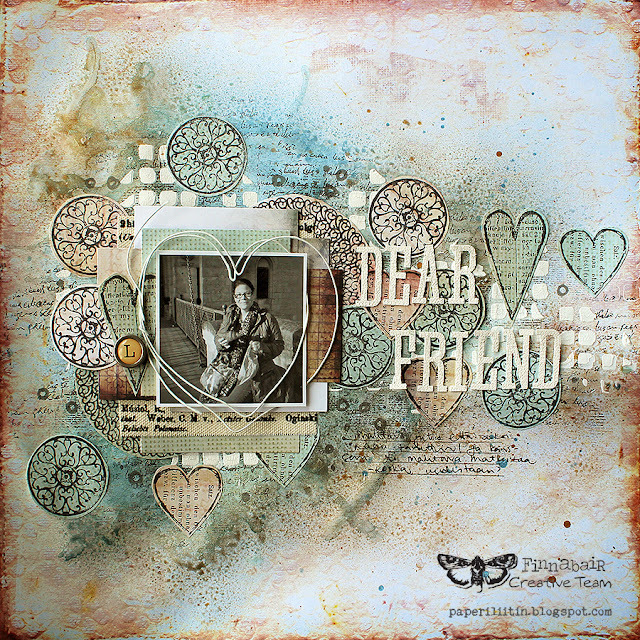 My CT member Riikka is showing beautifully her dedication for her friend Marsha. You don’t know how many times I’ve been thinking about doing this page! It has been years when I first met my sweet friend Marsha. We’ve even had a challenge running for each other for almost three years now. 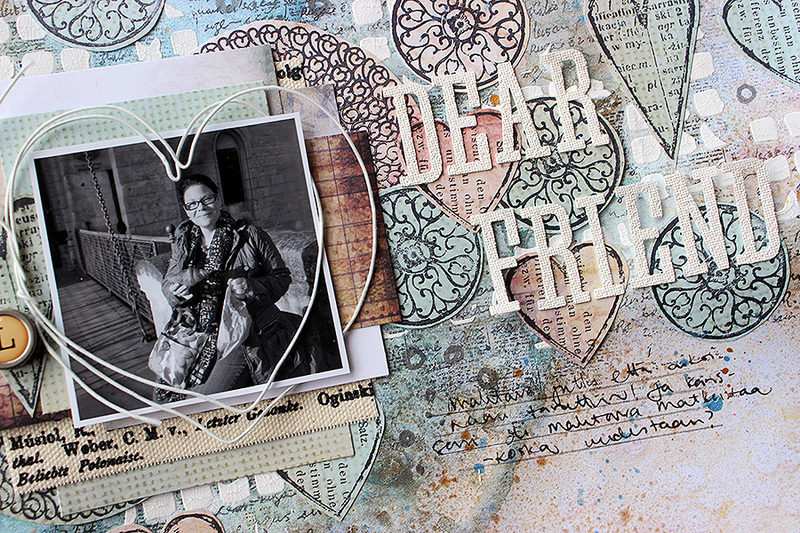 But during that whole time I haven’t made a scrapbooking layout directly of her! Oh no, a thing that needed to be changed! So when thinking about this project I had two guidelines to myself – to make a tribute page to my sweet friend and also to use mainly the wonderful Finn papers. As I wanted to use papers as my main product I also needed to create embellishments using the papers and what a better way to do it than to use stamps and make “die cuts” of my own. 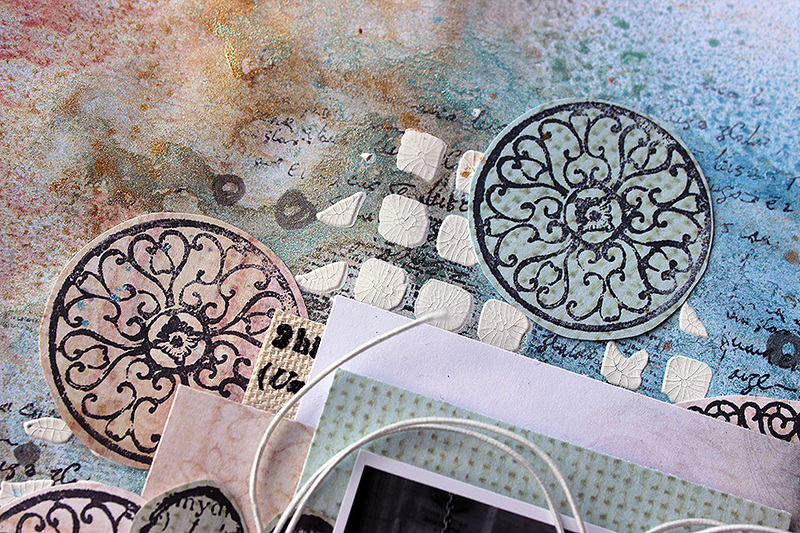 I also uses stamps in the making of the background. 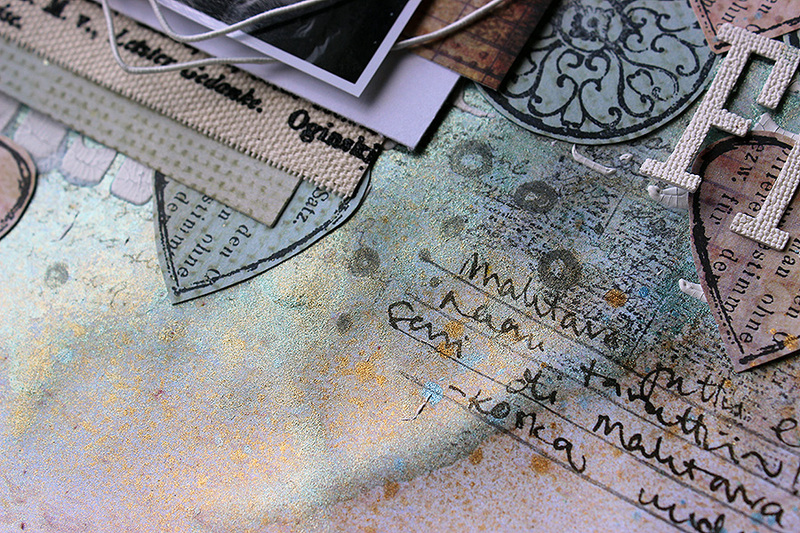 I colored the background to match the colors of the “Vintage Vanity” paper pad using Mica powders. This time I turned the shiny goodies into mists by adding some powder to a mini mister and then mix it with water. The shine is just unbelievable! If you want to see how the page was made, please watch the video! I hope you like it! Thank you for stopping by! Your layout is amazing and beautiful. I know your friend will love it - as it is from your heart. Tää on taas ihan huippu! Thanks for sharing! Beautiful layout!!! You spotlighted the papers in a BRILLIANT way Riikka. The background is wonderful. Love those colors and the way you layered everything so perfectly. WONDERFUL Tribute to your friend - VERY SPECIAL. j. 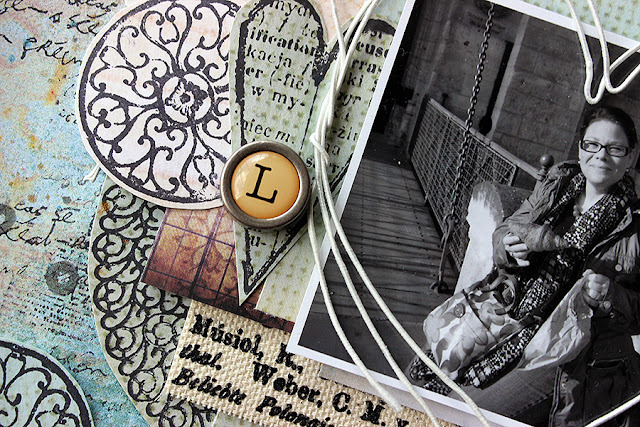 It's so lovely and full of details!